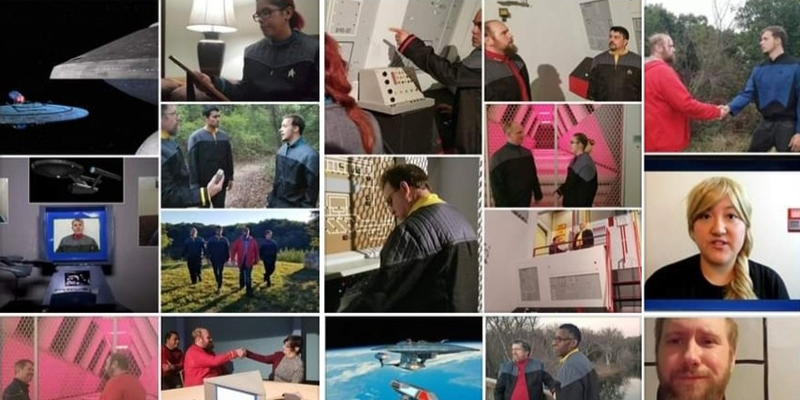 This blog might be called Fan Film Factor, but POTEMKIN PICTURES is a fan film FACTORY…having produced about 70 different fan films for six active (and one completed) fan series. You can view all of their releases on their website. Show-runner RANDY LANDERS manages to release an average run of twelve episodes each year, although last December he finished with a bang, posting four fan films in four days to bring Potemkin’s 2018 total to FIFTEEN fan films! Of course, all of the various Potemkin productions are ultra-low budget. 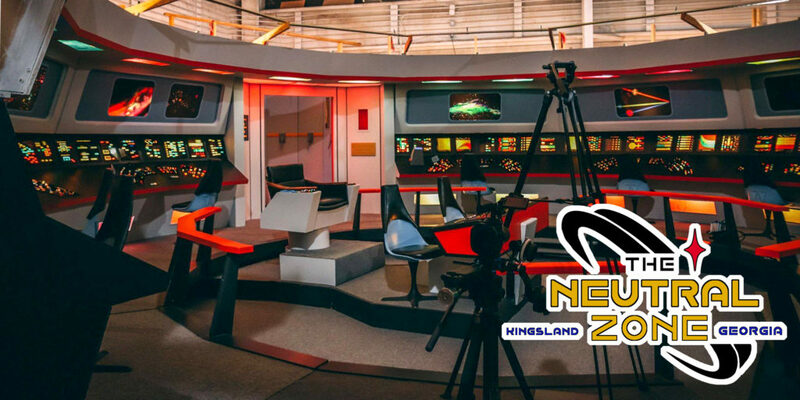 The actors are a mix of local community theater folks from Alabama and neighboring southern states, drama school students, and fans who just want a chance to have some fun acting in a Star Trek fan film. The same is true of the production crew, who are about as far from being “Hollywood professionals” as you’re likely to find. 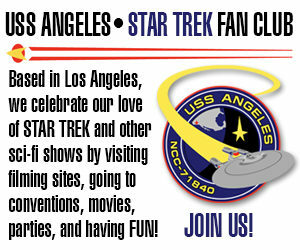 They’re just in it for the fun and the love of Trek. Of course, not everybody “gets” Potemkin Pictures. 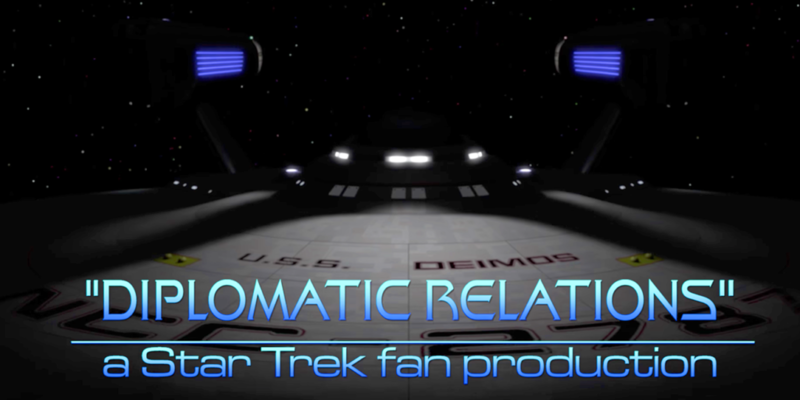 Compared to the sleek, semi-professional fan series like Star Trek Continues and Renegades, or the ultra-polished looking productions like Horizon and Axanar, Potemkin’s offerings don’t even come close. And they’re not meant to. If you want to watch those top shelf fan productions, then by all means, do so. But don’t judge Potemkin for all they don’t achieve. Look at what they DO achieve. To provide a better perspective into what I mean, I’m doing something a little unusual with the most recent release from STARSHIP DEIMOS, one of Potemkin’s six ongoing fan series. “Diplomatic Relations” debuted in February, less than 9 minutes in length and attracting a respectable 1,370 views over the past six weeks or so. Last week, we began discussing the Survivor trilogy with creator and show-runner MATTHEW BLACKBURN. 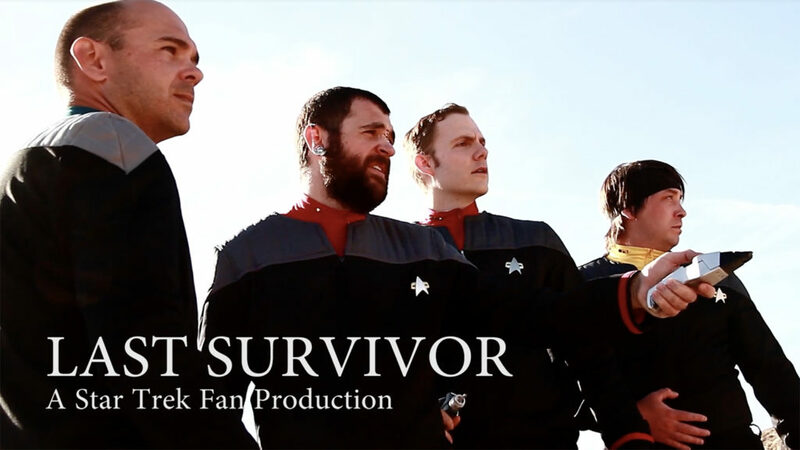 The fan series got its start back in 2010 with the release of the 10-minute fan film SURVIVOR, produced on a teeny-tiny budget and filmed entirely by just four people. 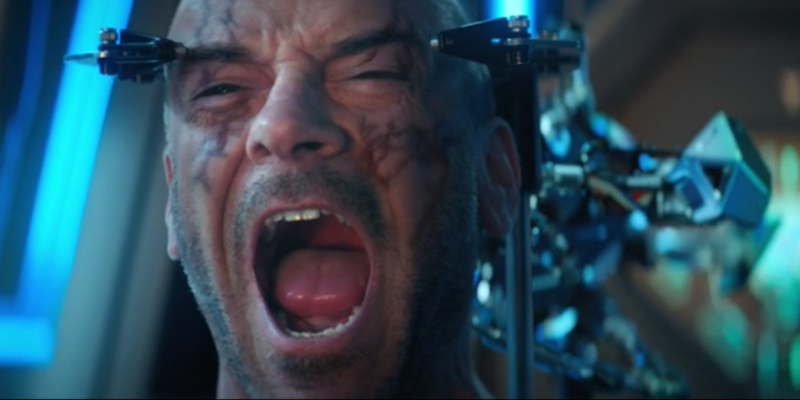 In 2017, a 15-minute sequel called SURVIVORS was released, this one produced by a team of six fans. Matthew wrote, directed, and starred in both films. 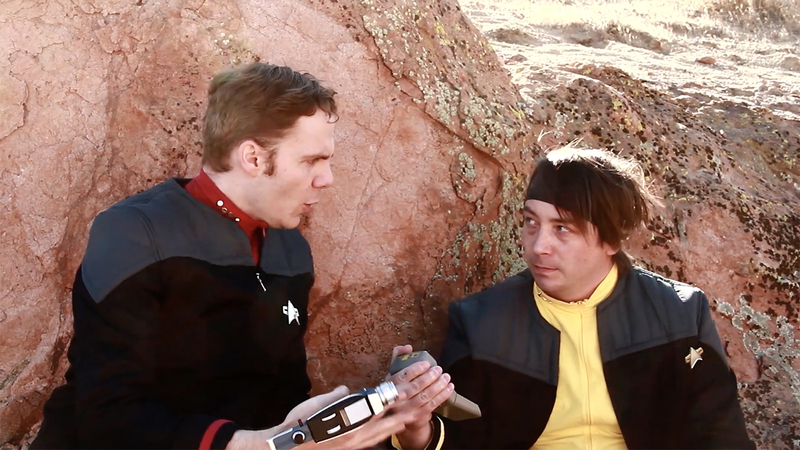 This one was lighter and a bit more humorous than the first, although it was still a serious fan film. In part one of our interview, we discussed Matt’s formal education (or lack thereof) in cinematic production, and how he was mainly self-taught and learned by doing. We then took a look back on what went into creating the first two fan films…before shifting our focus to Matthew’s latest release. 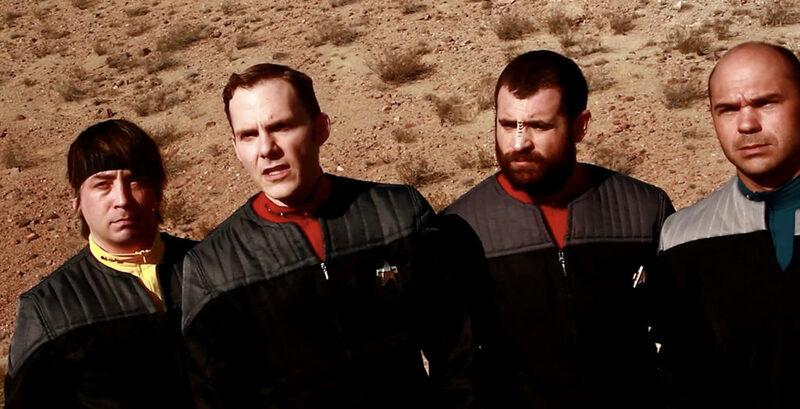 JONATHAN – Of the three Trek fan films you’ve done, do you have a favorite? MATTHEW – Last Survivor is definitely my favorite of the three because it best represents more my point of view as a filmmaker. I like Survivors a lot, but I don’t know if it completely represents me as a storyteller. I was probably more open to collaboration on that one, but Last Survivor was my baby. I wanted it to have a certain feel. Score is a big part of that. I believe music should be an essential part of the storytelling process, and I worked a little closer with ROLAND MAIR-GRUBER on this one to make sure it was suitably epic. JONATHAN – I thought the music was incredibly powerful and effective on Last Survivor. MATTHEW – Roland is really a fantastic composer with excellent instincts. Ninety percent of the time, his sensibilities lined up with mine perfectly. I cannot say enough good things about his contribution to my last two productions. I did the score for Survivor, but I’m just a guy who doesn’t know how to play piano mashing keys until I think it sounds decent. Roland is a world class musician. I hope to work with him on many future productions. JONATHAN – I’ll be honest, even though I enjoyed all three of your Trek fan films, I think I liked Last Survivor the best, as well. 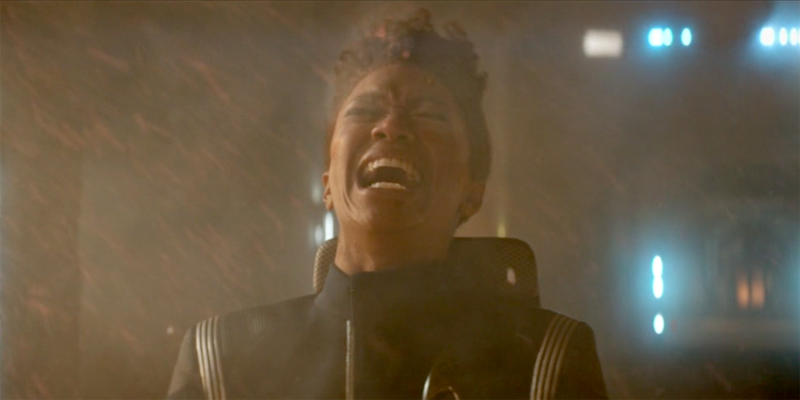 It felt like a very traditional Star Trek plot line, but with a very ominous ending. MATTHEW – I wasn’t sure how people would respond to it, especially the rather dark ending, but there’s still places to go. Like I said, making this production was a joy from beginning to end. It has exactly the mood and feeling I wanted and very closely resembles the vision I had when I hatched the story. Survivors was in a state of flux in terms of tone all during the making of it. We started with a pretty serious script, but injected more humor in as we went. JONATHAN – The humor in Survivors was definitely fun. MATTHEW – I credit a lot of that to me and DAN McINTYE just having fun on that one. It was a dark time, and I needed some levity. Last Survivor is everything I wanted it to be and in some ways more (thank you, Roland!). I just hope it gets seen as much as possible, given the ever -crowded Youtube field. I do watch fan films, particularly Star Trek. Some of them just churn out one after another, and more power to them. I prefer to cook mine a bit, think hard about the story and what I can do with it, but they sure are a blast to make. It’s Roddenberry’s sandbox, but I’m telling my own story within it, using those toys. I’m glad you liked this one. JONATHAN – Let’s talk about your team a little. Who did what? Any fun stories from the production itself? MATTHEW – I do pretty much everything, but I can’t do it all. My wife KATIE [BLACKBURN] was really great with calling horse pucky on some of my more whacky ideas, or letting me know if something was running too long in editing. She got the best shot in the movie with the running against the sunset scene. Dan mostly served as actor this time, but there wouldn’t have been a movie without him. TRAVIS [ST. JOHN] played the medical officer, and also turned out to be a pretty decent camera operator. I worked with him on my fresh-out-of-high-school movies years ago, so it was nice to do that again. He started filming a week after I told him about the project. 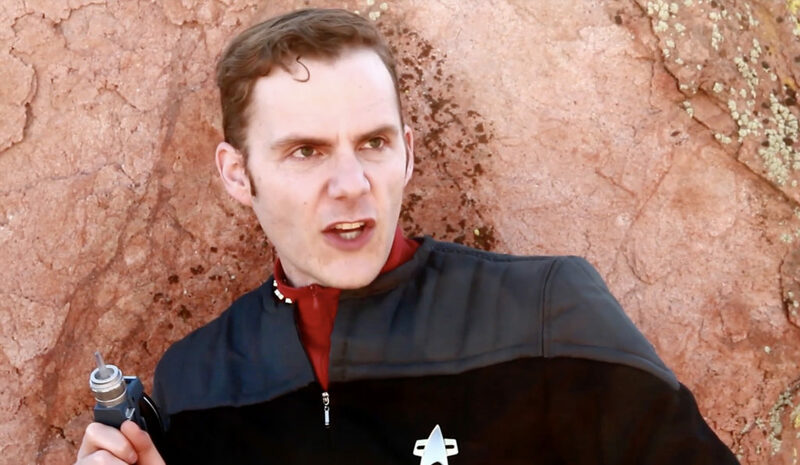 NICK [CANTRELL] played the Surface Alien, Bajoran, and did some doubling for “Evil Captain” in the western scene. I had an idea early to cast some outside people as Medical Officer and Bajoran. I was looking for a Janeway type for Medical Officer, but the transportation situation didn’t work out for her, so the originally-female medical officer became the more McCoy-like Travis. Nick played the Bajoran more or less as a reward for putting up with the alien suit in 108 degree heat, and he’s a great guy to be around. So when in doubt, just use your friends. Local people tend to show up and not have too much of a travel issue. I wrote the opening fight a couple days before we shot it because Katie and I agreed there needed to be more action in the beginning, and that opening with the rock climb wasn’t a big enough hook. I called up Nick and Wayne, asked them who wanted to be an alien and who wanted to be a commander, threw costumes at them, and we shot. It went smoothly except for the fact that it was 108 degrees during that first scene, and poor Nick was wearing that rubber alien mask! There’s a shot in there where you can see the sweat spewing out of the mouthpiece. At one point, he said his head felt like it was boiling. A typical day in the desert! The camera would shut down every 20 minutes with heat warnings, so we’d have to stop, take the camera to the car, and blast it with the air conditioner to get another 20 minutes of shoot time before it would shut down again from the heat. Another really good shot Katie got was the first climbing shot. That’s actually me climbing the rock, and I had to be right on the edge in order for her to see me. It was fairly high up and pretty scary. At one point I think I said, “I hope you have the shot because I don’t think I can go any farther.” Getting back down took a long time. JONATHAN – Well, I must admit that it did look impressive. Not quite Kirk on El Capitan, but close! MATTHEW – Thanks. It’s nice to know I risked my life for a good cause! JONATHAN – Of course, uniforms in fan films can be hit an miss. But it looks like you had three hits and one miss. You couldn’t get four of the same style? MATTHEW – New uniforms took forever to arrive, shipping from who-knows-where. I had a uniform for the originally-female medical officer, which was a woman’s small. Try as he may, Travis just couldn’t squeeze into it, but he got into the blue undershirt. The uniform he wears is actually the same one I wore in Survivor. We’ll just say he’s some special order of medical officer who has a different shade of gray for his uniform. My new uniform split up the arm just by raising my hand. They were really not well made. We had numerous wardrobe malfunctions with the new uniforms. Dan’s zipper broke off and we couldn’t get it back on, so after the energy-alien leaves his body you’ll see his jacket stays open. We just went with it. 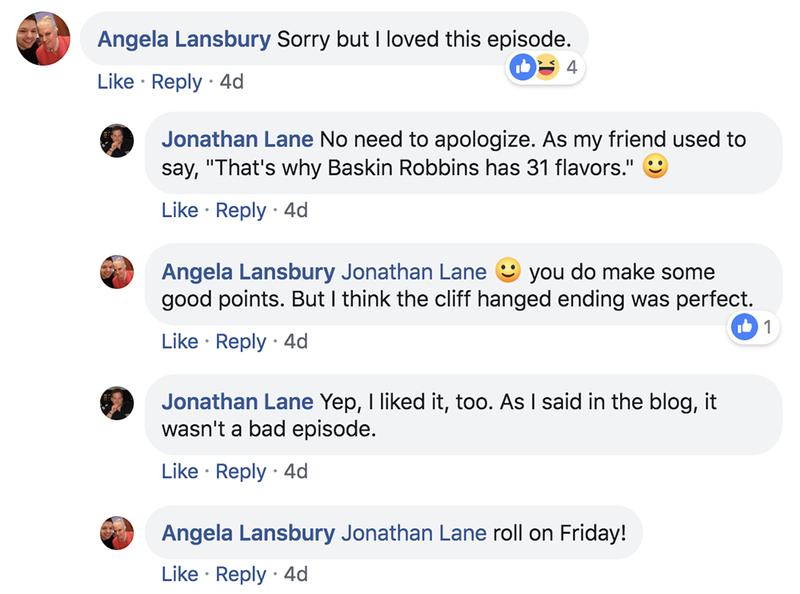 JONATHAN – And this is why I love behind-the-scenes interviews—I and my readers get to learn about all the little things that go wrong along the way. In my opinion, Matthew, it just makes the finished production all the more impressive. So where did you film, and how many days were you out there? 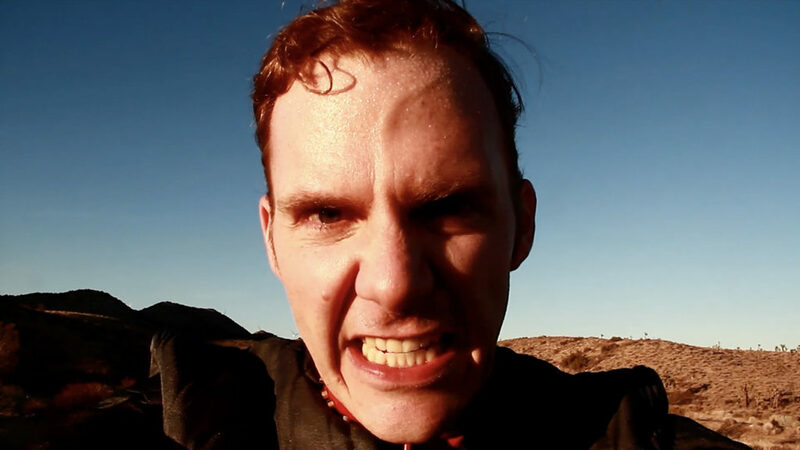 MATTHEW – We filmed in Rosamond, Lake Elizabeth, Tehachapi, Las Vegas, Vasquez Rocks, my backyard, and Crestline. Altogether, there were probably ten or so days where we filmed, but it was off-and-on over the course of six months. I kept waiting for new uniforms to arrive and pushed the scenes involving the Vulcan, Medical Officer and Bajoran (who wasn’t originally Bajoran) until November…a month before I released the movie. JONATHAN – Only filming for ten days over six months, was that challenging? MATTHEW – The challenges are the usual stuff with scheduling, weather, availability. The advantages were that I really had the time to find the movie in the edit. Having the time to make each scene as good and trim as it could be was a big plus. There were no deleted scenes, just moments that were longer. I like how it all turned out. Got a lot of mileage out of the energy alien material we shot for Survivors. JONATHAN – Once all of the footage was “in the can,” what were the next steps involved in post-production? MATTHEW – No real steps. I’d just edited the footage as soon as it came in. Usually the same night! I voraciously edited and completed sequences as they were shot. I was so happy to have something filmed after the opening sequence that I edited it with nearly finished visual effects the same day we shot it. JONATHAN – Wow, that’s pretty amazing. So if you edited as scenes were completed, did that “lock in” scenes to a predetermined structure, or was there still some flexibility as the edited scenes were completed? 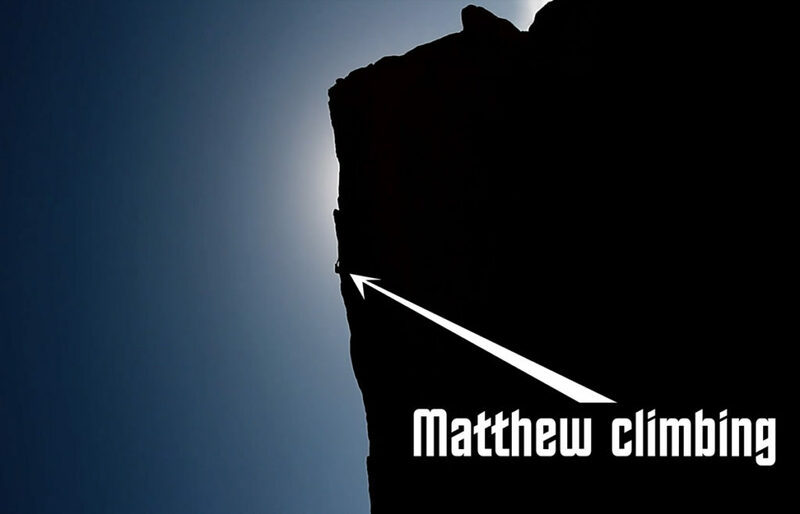 MATTHEW – The structure of the movie changed a bit when I split the “fantasy sequence” in two, for the better I think. Post production was pretty easy since I’d be editing pretty much all the time, refining each scene well before the next scenes were shot. It gave a good amount of time to ponder how to improve things. Actually seeing the ship crash in the beginning was a late addition. There were a bunch of those. Lack of a set schedule helped. We just filmed when we could, and I edited and did the effects when time permitted. 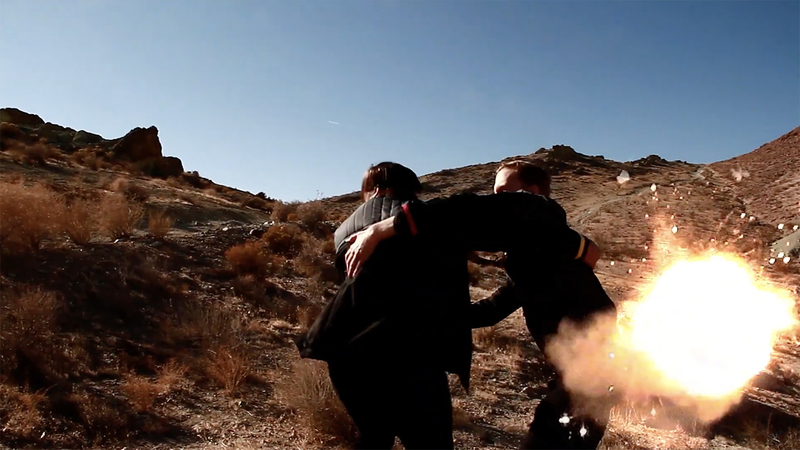 One effect I like a lot is the mini explosion caused by Dan’s phaser going off when I stop him from vaporizing Travis. I composited that a couple days before the final edit went to the composer. Little things like that make a difference, but the relaxed shooting and editing schedule (or lack thereof) definitely helped with making those sort of creative discoveries. JONATHAN – You did an excellent job acting. Do you have any training? MATTHEW – I appreciate the compliment, thank you. Most of the time when I’m acting, my mind is on other things like: “Will this shot come out?” “Is it in focus?” and all the stuff that has nothing to do with acting. I’ve always acted but never really pursued it hard outside my own projects and a little community theater. I suppose it’s a jack-of-all-trades thing. There were acting related things I definitely wanted to do in this movie…a “bucket list” of sorts. I wanted to go evil at some point, and have a bit more emotional intensity not just from me, but everyone. I’d love to do more acting. I love physical acting. Stunts and fights and so on. JONATHAN – So now that you have a trilogy, are there any plans for a fourth or fifth installment for this series? MATTHEW – Making Last Survivor was such a joy on every level for me that I’d really like to keep it going. I have a couple other fan films I’d like to do in the meantime to get the fan film bug out of my system (Terminator, Alien). I work full time, and screenwriting pretty consistently occupies the rest of my time, so it’s just a matter of…budgeting…the time (Shatner pause!). I’d be open to collaborating with other fan filmmakers, but again, it all depends on the story. Next up is a Terminator fan film for the 35th anniversary that may be the most ambitious thing I’ve made. 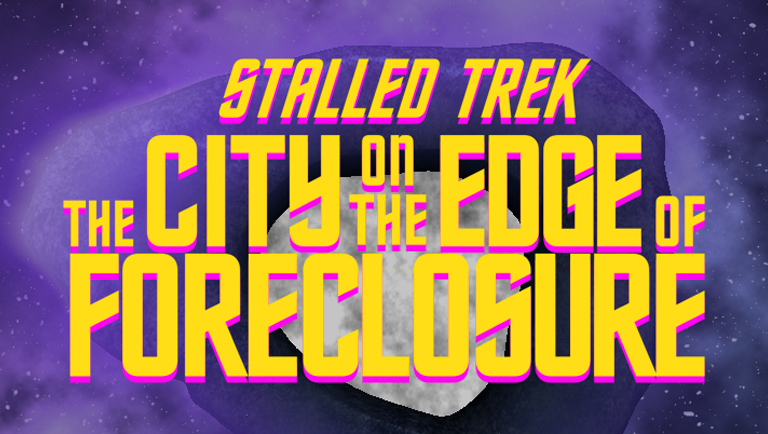 As for Star Trek, there are always…possibilities. AVALON UNIVERSE Indiegogo gets a $1,000 DONATION from a SINGLE donor! There’s also a few other crowd-funders that I check in on from time to time. You can find them all listed here on Fan Film Factor under the CROWDFUNDING NOW tab at the top. Usually, there isn’t much movement on a daily basis for these campaigns…just little increases here and there. 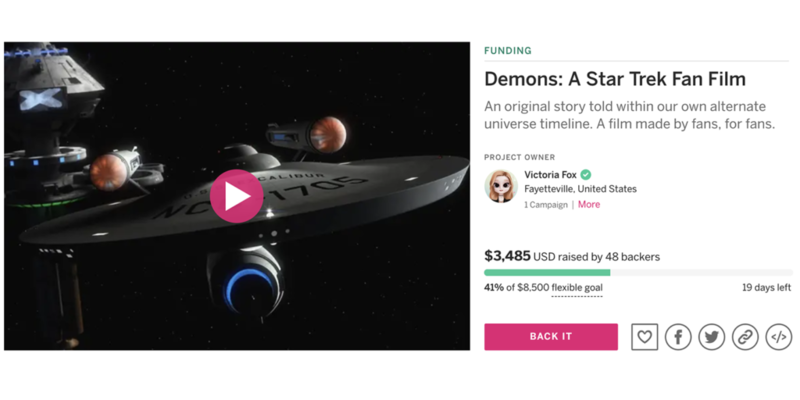 For the Avalon Universe Indiegogo, the donation total had been hovering in the low $2K range for the last few days…not unusual for a crowd-funding campaign to slow a bit in its second or third week. And so I literally did a double-take when I checked the Avalon campaign late yesterday to discover their total at $3.4K (bringing them to over 40% of the way to their $8,500 goal). Huh? I’d checked it earlier in theday, and it was still in the low twos. What the heck happened??? I scrolled down through the perks. One of the perks is a $1,000 “Executive Producer Package” where the donor gets their name listed in both the opening and closing credits as—you guessed it!—Executive Producer. Two of these perks were initially available, and one had just been snatched up! I checked with Avalon showrunners JOSHUA IRWIN and VICTORIA FOX, and they confirmed this is a legitimate donor and someone who has supported fan films in the past (although we won’t find out who until the fan film is released and we check the credits). I don’t usually report on single donations to crowd-funders, and $1K donations certainly aren’t unheard of. But they are indeed rare…and almost non-existent for “smaller” campaigns with goals under $10K. So for me, this is news worth sharing—and a good reminder for folks to consider donating, if they haven’t already (even if it’s just $10 and not $1,000). Author Jonathan LanePosted on March 20, 2019 March 20, 2019 Categories Editorials, Fan Film Features, News15 Comments on AVALON UNIVERSE Indiegogo gets a $1,000 DONATION from a SINGLE donor! THE HOLY CORE releases its first TRAILER! In any list of the top 10 Star Trek fan films of all time, I will always include CHANCE ENCOUNTER, from British writer/director GARY O’BRIEN and co-writer PAUL LAIGHT. It doesn’t have dazzling VFX or edge-of-your seat action. In fact, it’s a “quiet” story that treats viewers to some top-level acting, emotionally engaging characters, and lovely music…all wrapped in a skillfully directed and edited package that I consider to be a MUST-SEE fan film. So naturally, I and others have been most eager to see what Gary and Paul do for an encore! A year ago, Gary launched a Kickstarter for what was, at the time, about $12,000 (American). But it failed to get even half-way to its goal, and so Gary received nothing…since Kickstarter requires a project to fully fund before awarding pledged donations. 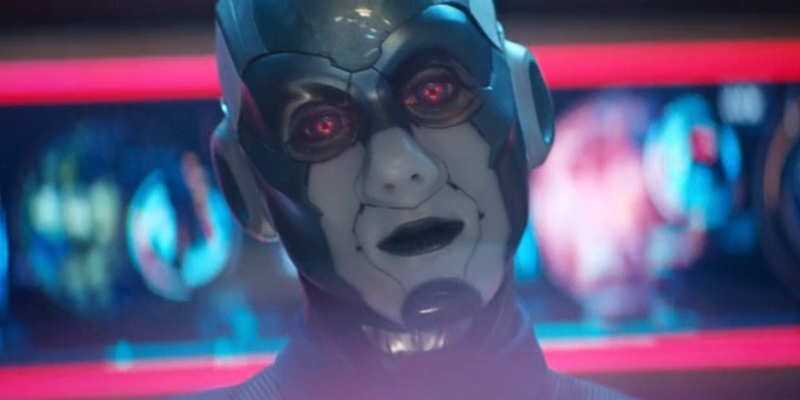 However, a single “angel donor” came forward in May with an offer to fund the entire production, and Gary was now set up to create THE HOLY CORE, a TNG-era fan film with more action and VFX than his previous release…but the promise of the same great level of acting, directing, engaging characters, and quality of presentation. This project also called for the construction of some ambitious TNG-era sets for a Nebula-class starship…including the captain’s ready room, deflector control room, and even the engineering station on the bridge! Could Gary and his team pull it off? A series of production updates teased us with quick glimpses into how good these sets were looking. I posted a blog back in December collecting all of these updates in one place. It’s worth checking out. In the meantime, Gary has just released his first official trailer for The Holy Core, and it looks really impressive (especially all of those amazing sets)…! 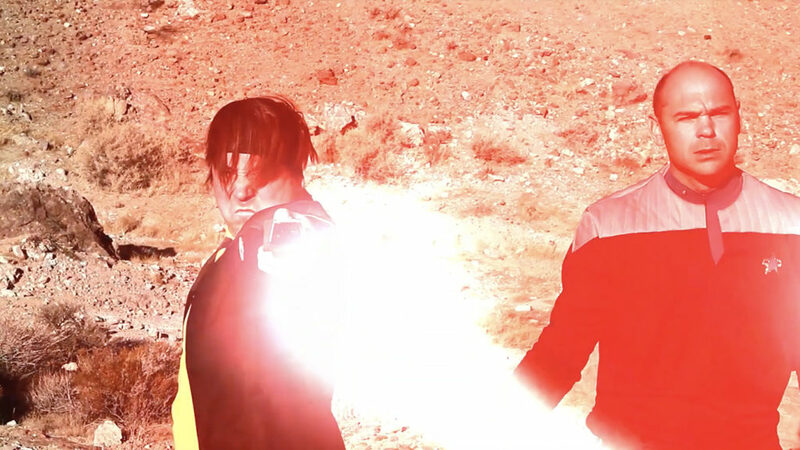 Author Jonathan LanePosted on March 19, 2019 March 19, 2019 Categories Fan Film Features, NewsTags Chance Encounter, Gary O'Brien, Paul Laight, The Holy Core5 Comments on THE HOLY CORE releases its first TRAILER!